Is anyone using a non Audi warranty company? The warranty I had when I bought the car will finish in December so looking to see what my options are. Audi RS6 c7 2014| Estoril Blue | Dynamic pack | Sports Exhaust. 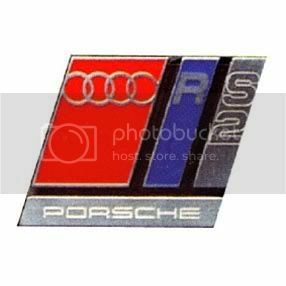 Is the current warranty which you have not an Audi one as you can extend them? No it’s just through the dealer I bought the car from. I’ve looked at places like warranty direct and they look ok but wanted to know if anyone else had any experience with 3rd party company’s and not Audi. Just checked with Audi and they can offer me all component warranty for £1083 with a £250 excess. I also checked with a couple of other outfits and the best offer I had was with a company called (click for warranty) which would be £876 and that doesn’t cover absolutely everything! Looks like the Audi option will be the one I go for. Have you tried MotorEasy? Seems comprehensive and good value. AMDRS6 wrote: Have you tried MotorEasy? Seems comprehensive and good value. Hi guys, I am late to this conversation, but it’s good for future fans that read this. I recently had a warranty with MotorEasy on a Porsche Cayenne, as it was 1/2 the price of Porsche. Porsche wanted me to change my discs and pads, even though they were fine and no warning lights. Cost of £800 and then asked me if I wanted to pay £800 to put it back together and return it broken. Or spend £7k and get it fixed. I had to choose the later. When it was returned 3 months later! The car had damage to the bumper, broken window switches and had not even been washed. It was stinking. 1 week later the fault returned! Still trying to sort it with them, but they offered a £600 compensation. I will NEVER choose a non manufacturer warranty again. They just fix everything without question. Lesson to be learned all! Warrantywise may be the exception to this rule. They’re not perfect but their logic for rejecting a claim or for only partially paying out is sound enough. I.e., they are not a reject at any cost / rationale that some third party warranties are. Just checked with Audi and they can offer me all component warranty for £1083 with a £250 excess. At that price I'd definitely buy the Audi warranty. Maybe you'll save a few hundred quid on the price with a 3rd party warranty, but get a bad one and you could be thousands out of pocket in the event of a claim. Just did an Audi extended warranty on mine. £565 for a year, which I was very happy with. That's cheap. Was that one of their limited parts warranties?